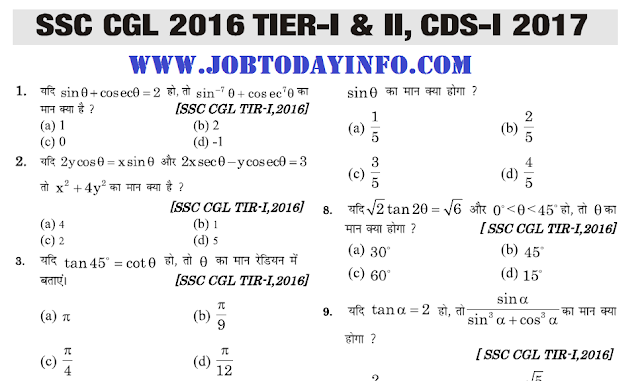 Dear Aspirants, Today we are sharing e-pdf of “SSC 2016 CGL Tier-I & II CDS-1 2017 Questions & Solutions” for Competitive Exams. This PDF contains 78 Questions and Solutions of Trigonometry which were asked in SSC CGL 2016 Tier-1 & Tier 2 CDS-I, 2017. This PDF is very useful for upcoming Examinations of SSC CGL, CHSL. You are advised to Download PDF From the link which is given below.